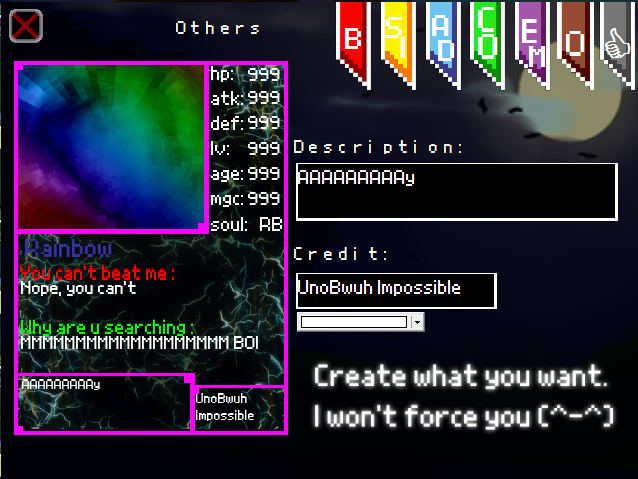 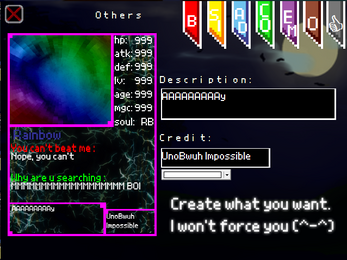 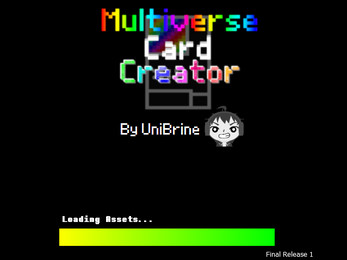 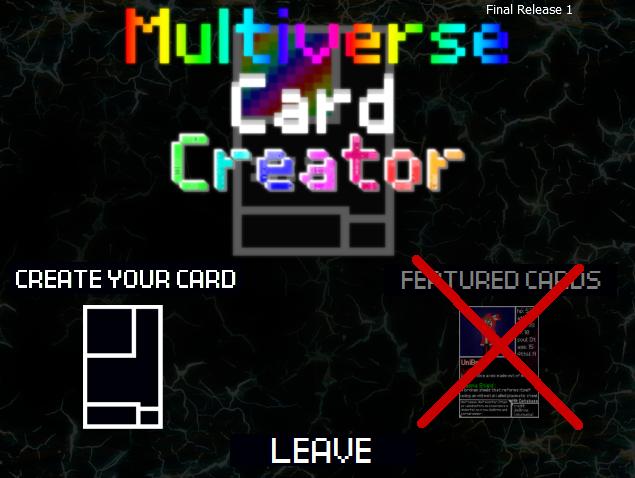 Multiverse Card Creator is a Custom Card Maker by UniBrine with some of the principe of Undertale/Deltarune ! 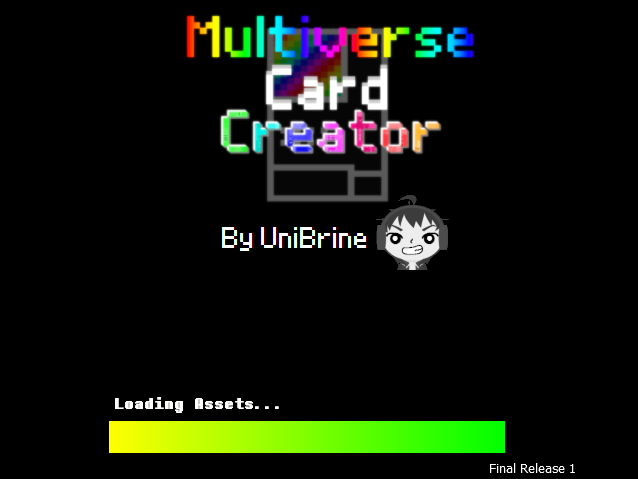 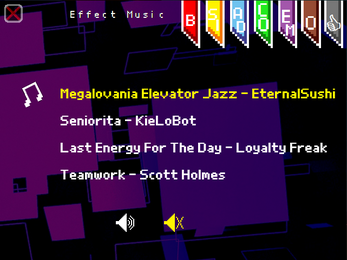 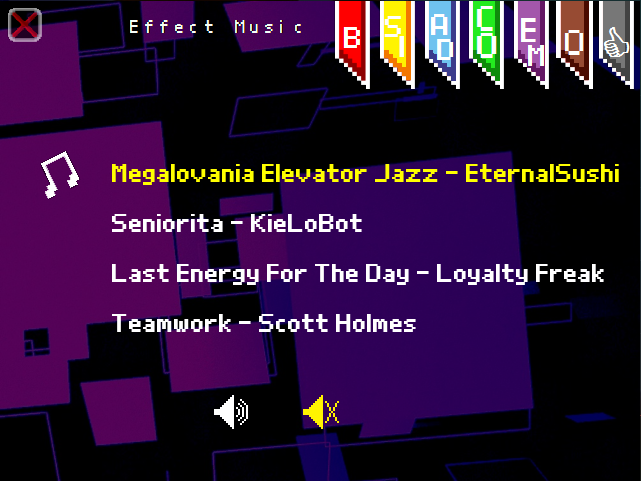 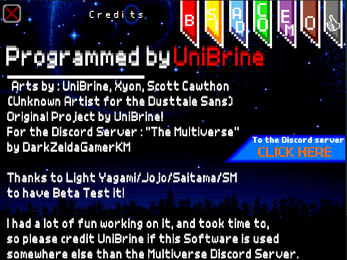 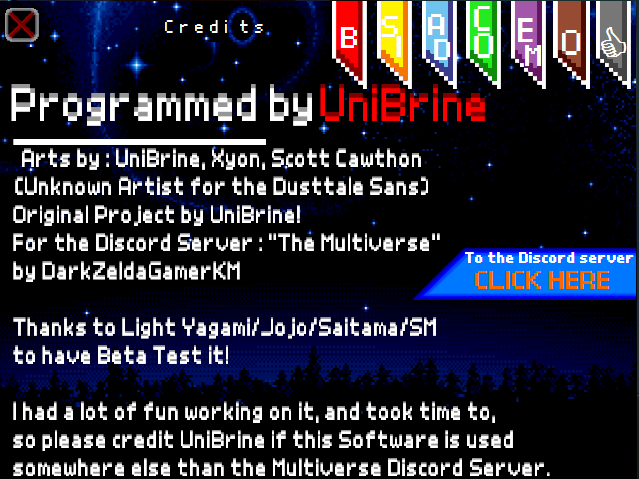 Originally meant for the Discord Server "The Multiverse", UniBrine decided to publish it for everyone on gamejolt ! 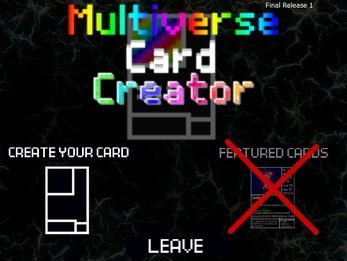 as you long as you give credits if you use it somewhere else than the "The Multiverse". 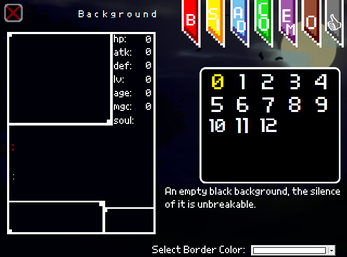 You can create your own card with stats: Atk, Hp, Def, Magic, Age, Lv, Soul! 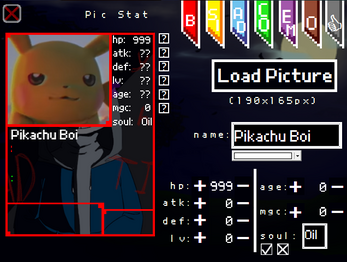 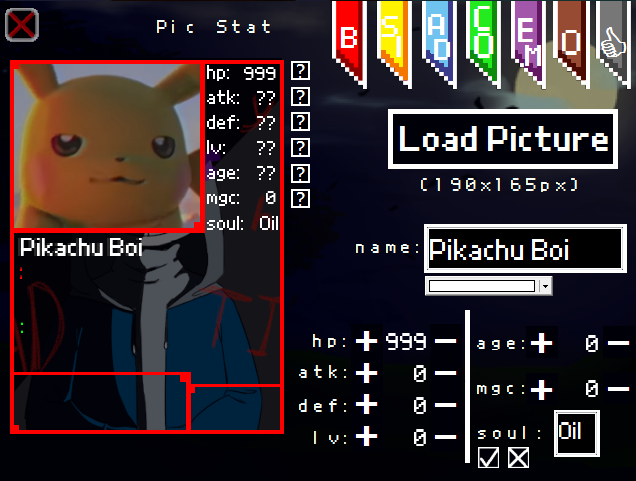 Load your own Picture and Write your own Attacks and Descriptions! 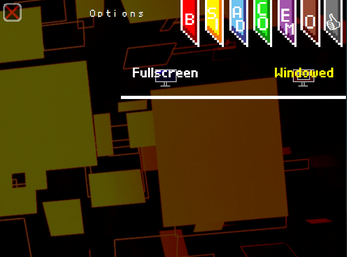 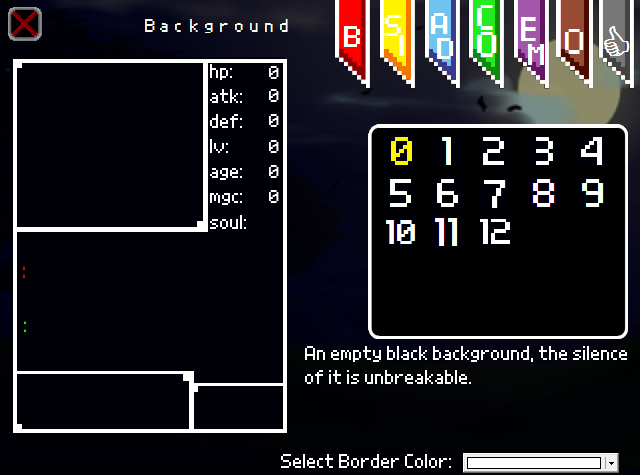 Change colors of your Borders and even of your Name and Choose between some backgrounds ! 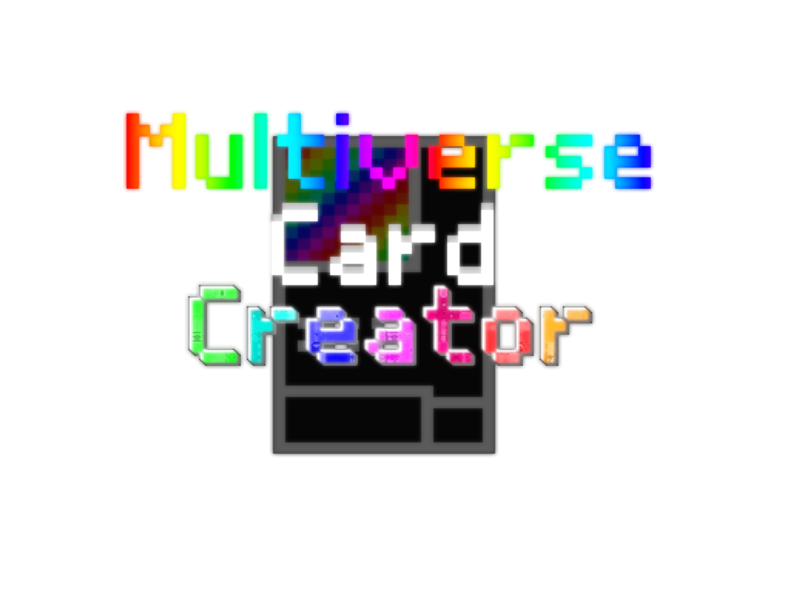 And make your own powerful card to beat everyone !